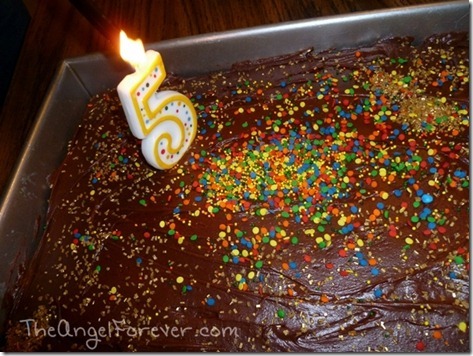 Yesterday was JSL’s 5th birthday. Monday birthdays are tricky when you are in school. It means you can’t do anything too big and elaborate, but still need to make the day extra special. On Sunday, JSL finally opted not to ask for an ice cream cake and wanted a chocolate cake with sprinkles in it. 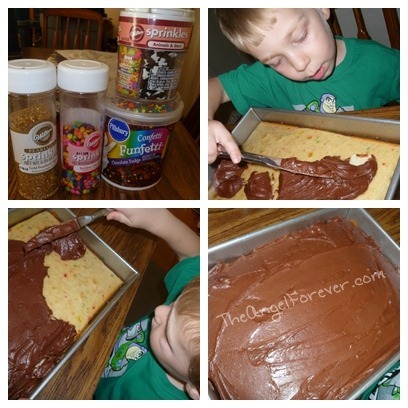 That can not really happen, so he picked something else, along with frosting and items to decorate the cake. In the morning I took the boys to school. 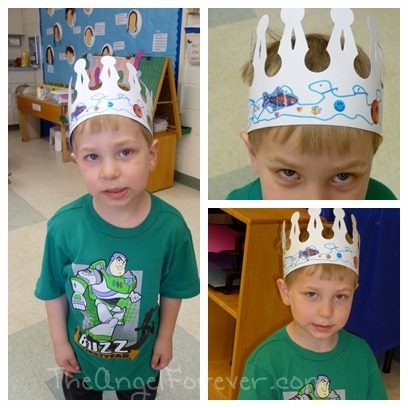 When I dropped JSL off, his teacher E had him make a special birthday crown. Later on when I went back in, the crown was complete. Then it was time to have a birthday snack with everyone. When the kids were done singing to JSL, he was asked to share how old he is now. Yes, he now needs an entire hand. After a story and some dancing, we packed up to head home. We were on a mission. Before going to school JSL asked me only to bake the birthday cake. 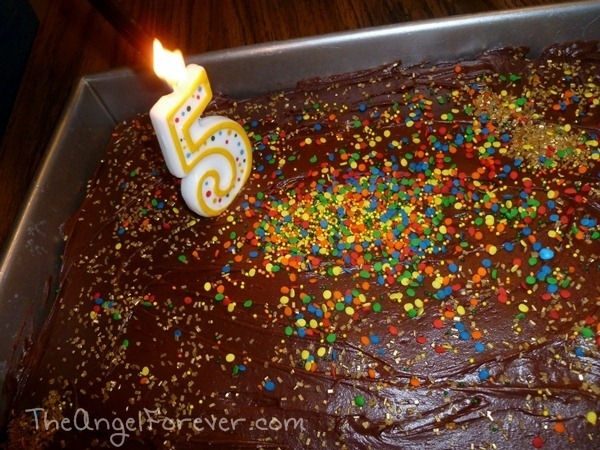 As a new big five year old, he wanted to help frost and decorate his own masterpiece. So I set out supplies and we started to work. JSL soon learned that when you pull up on frosting…cake will follow along with it. Thanks to that, he also learned how to repair holes with more frosting. Once the cake was covered in frosting, it was time to add some color. 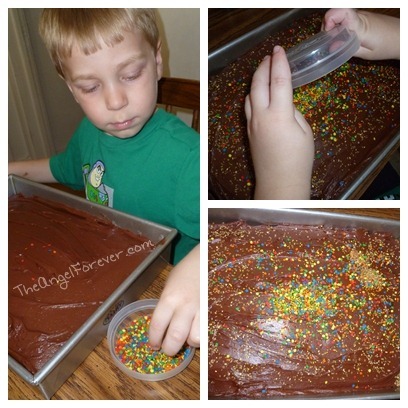 JSL was careful placing sprinkles at first, then he started to just dump them on, and eventually he wanted some gold to add a little sparkle. Unfortunately, the walkie-talkies did not work. We called the company and they were amazing. Later on we brought them back to the Toys R Us and exchanged them for some the exact same item that worked perfectly. Then we came home to have some of the cake that JSL helped to make. It is still so hard to believe that my “baby” is already five! What a fun birthday! 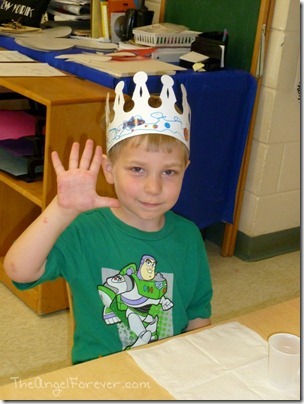 Can’t believe he’s five … but of course I should believe it because I have a fiver too! 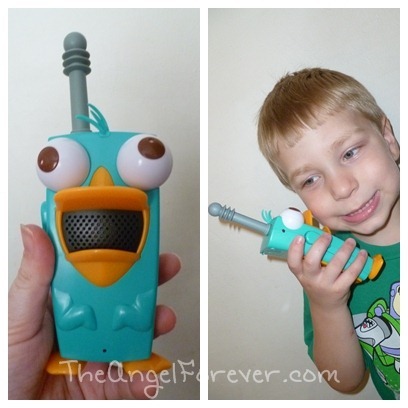 Those walkie-talkies are super cute. Happy birthday to him!